SAVE THE DATE! Volunteer work week begins October 8, 2018. Details and sign-ups to come. Repairing and renovating homes for low-income homeowners in our community since 2006. Restoring dignity and pride of home ownership in our community by making repairs and upgrades that are life changing for our recipients. Read more about Ms. Hinch on the NEWS page! The Fix-A-Home Project is 100% Volunteer driven and Funded. Help us continue Making A Difference In Our Community making a tax-deductible donation and becoming a Sponsor! 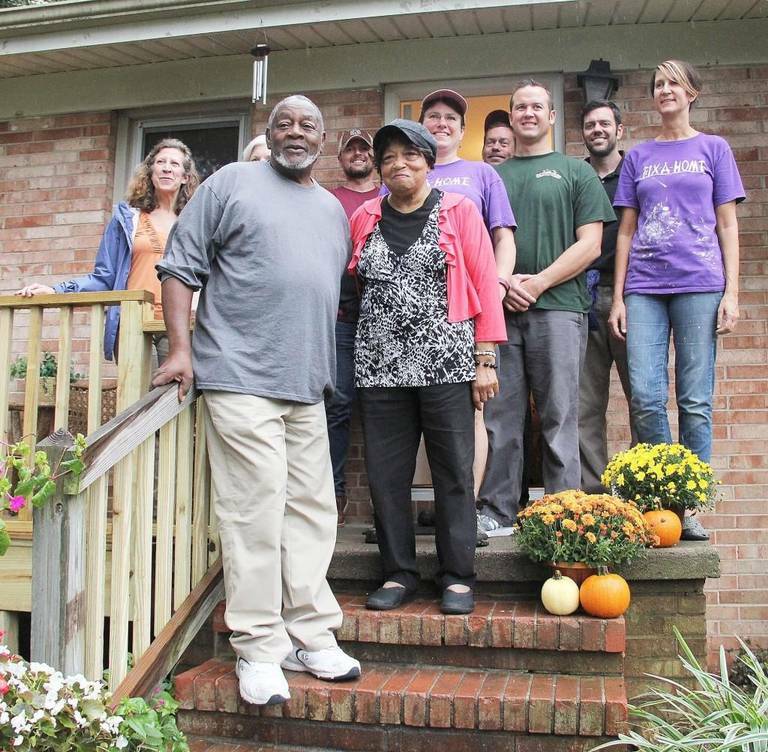 2016 Recipients Paul & Belinda Caldwell with some of the dedicated Volunteers that helped transform their home. Fix-A-Home is an ongoing, year-round community service project that is solely VOLUNTEER powered and funded by DONATIONS. 2014 Fix-A-Home Project reveal celebration with volunteers, Town of Chapel Hill elected officials and the recipient family. You can become a Sponsor of our Project, or participate yourself.